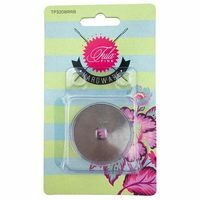 Tula Pink's 45mm rotary cutter is made from aluminum alloy and features an iridescent finish. 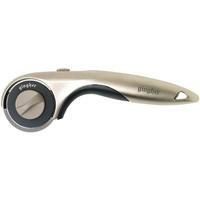 This eye-catching cutter is ergonomically designed and can be used ambidextrously. 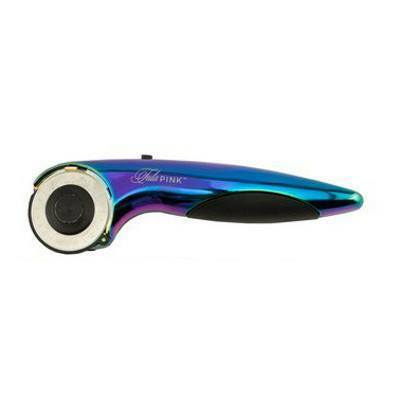 The safety lock feature on the blade makes for safe storage. 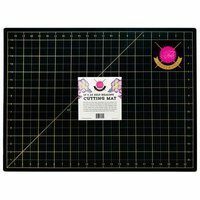 The sturdy blade can be used to cut fabric, leather, vinyl, paper, and more.